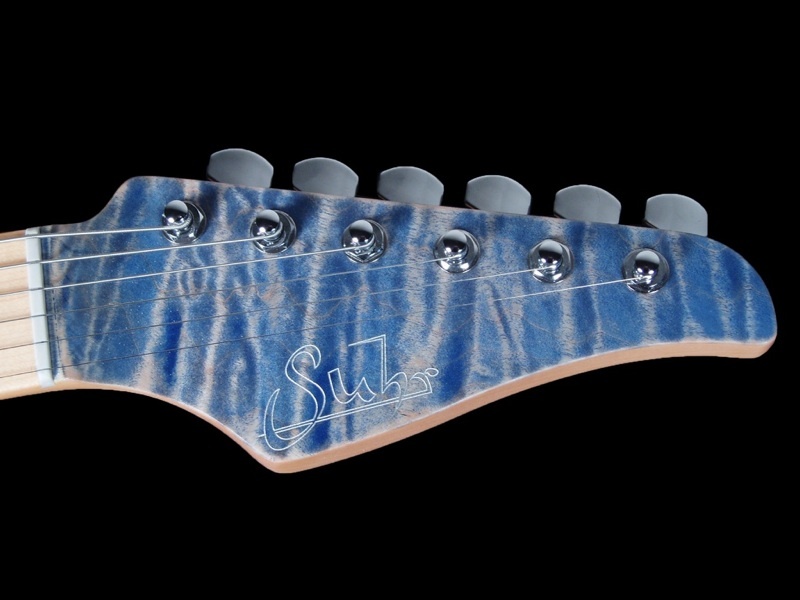 "Bell bottom blues, you made me cry..."
We've featured Suhr's denim finish guitars before. Just love 'em! Also recently noticed Grosh doing some trans denim tops. 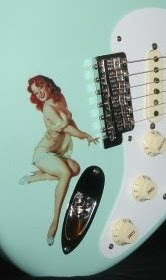 But besides the finish, this guitar has some other interesting features. Beneath the flame maple top is a chambered basswood body. That's right, chambered basswood-- How often do ya see that? Still, this guitar weighs 7.4 lbs, which seems odd considering those sugar pine LSL T-Bone's usually come in under 7. So this maple top might be thicker than usual. Either that or it's lead shielded... secret ammo compartment? ;)) Still, it's only newborn baby weight, and no diapers to change! 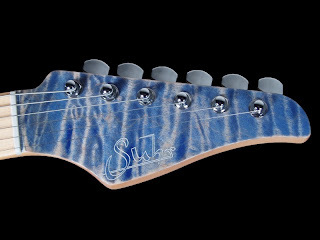 Other vital statistics include large SS frets, 10 - 14" radius, slim "C" neck, JST pickups, Tusq nut and it's been Plek'd. The binding is just unstained maple top edge, which they call "scrape". Body back side is gloss black. Case and Suhr pw included (February 21, 2012 build date). 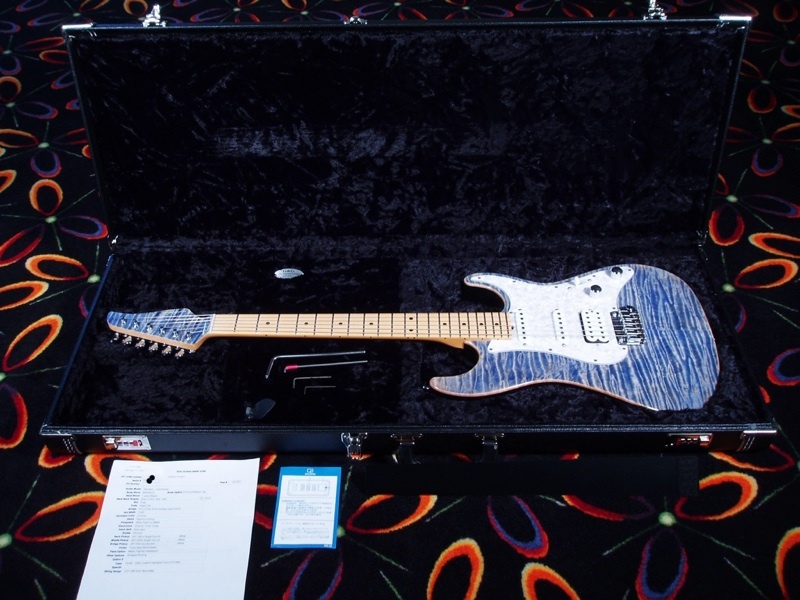 Seller: Texas based G-Brat's Guitars lets us know that although this guitar is new and unplayed, they are not a Suhr dealer, so no factory warranty included. In other words, this model isn't equipped with OnStar, ok. 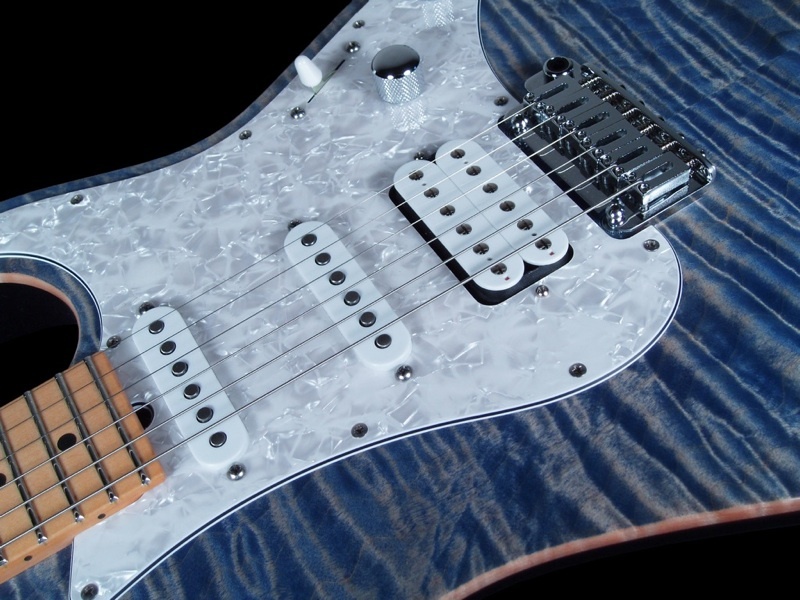 So if the throttle sticks or pickups burst into flames, you're just gonna have to drive thru it like a big dog. Oh, and how 'bout that friggin' carpet! Disco Inferno!